Thousands of people gather at Soldier Field Saturday to raise money and awareness for breast cancer research. 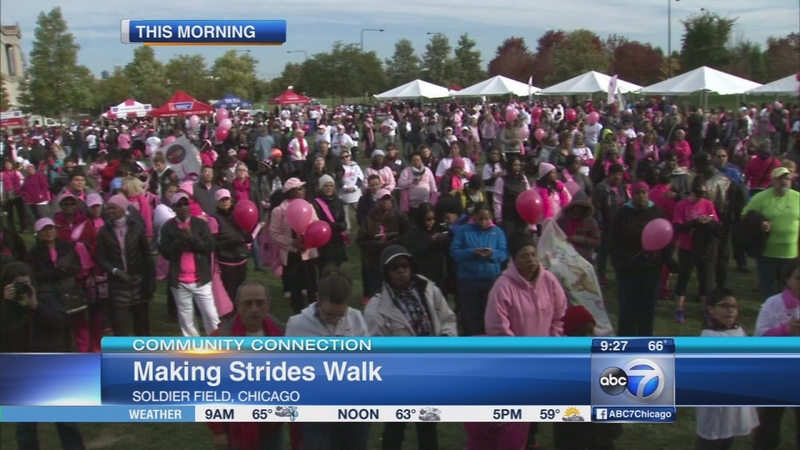 CHICAGO (WLS) -- Thousands of people gather at Soldier Field Saturday to raise money and awareness for breast cancer research. Cancer survivors, friends and family, and volunteers took part in the Strides Against Breast Cancer 5K walk. Saturday morning's event was emceed ABC7 traffic reporter Roz Varon. Proceeds from the event benefit breast cancer research. 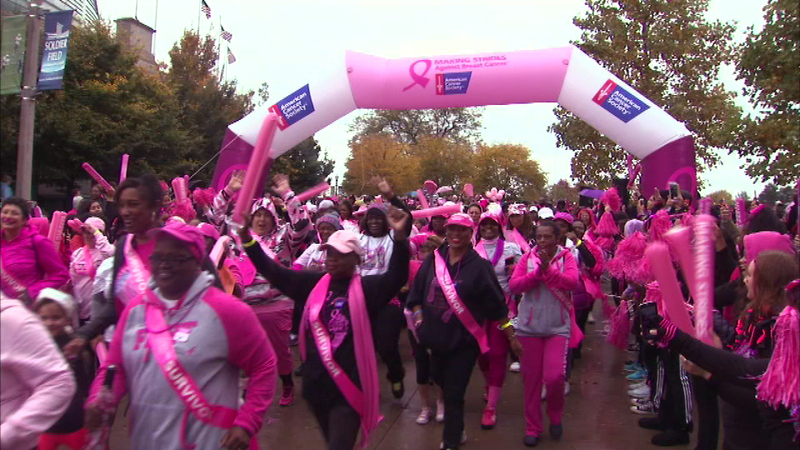 Thousands are gathered at Soldier Field Saturday morning for the Making Strides Against Breast Cancer 5K.